New and exclusive! 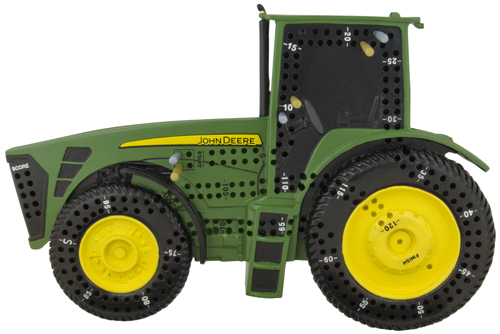 This is the classic game of cribbage, re-imagined for John Deere lovers! The board is cast in a heavy, high quality poly-resin and detailed to look like a John Deere tractor. The back of the board has an opening to store the included game pegs. Includes detailed game play instructions. Officially licensed product. Dimensions: 10-1/4 in. x 6-3/4 in. x 1-1/2 in.